Conservative yet irreverent. Traditional yet forward thinking. Steeped in nostalgia yet thirsting for change. Chennai is indubitably a city of dualities, and thus the perfect subject for Roli Booka��s latest, Madras Then | Chennai Now. The fourth in the publishing housea��s a�?Then And Nowa�� seriesa��it previously featured Delhi, Mumbai and Indiaa��the coffee table book is packed with rarely seen or published photographs and painstakingly researched text. a�?The booka��s not a comparison of how the city looked then and now, but rather a study of how life in the city has changed and evolved,a�? says Pramod Kapoor, founder of Roli Books and the booka��s photo editor. The photographs were sourced from public and private collectionsa��from the British Library and from important families like the Mudalliyars and the C P Ramaswami clan. 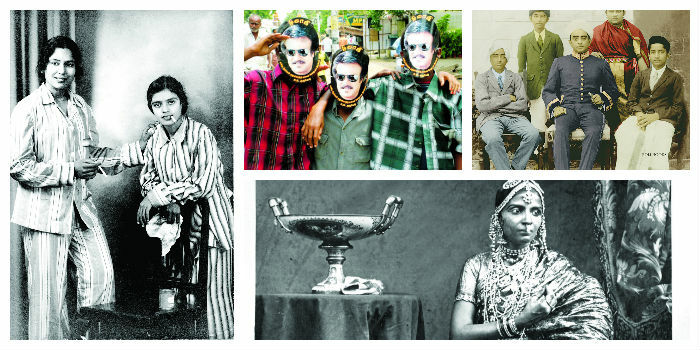 The three-year labour of love has unearthed rare pictures like the 1914 German bombing of Madras, panoramic shots of the construction of Madras harbour, and even a cheeky photo of veteran singer M S Subbulakshmi puffing on a cigarette. a�?I learned so many new things when I researched for this book,a�? says historian and writer Nanditha Krishna, who co-authored it with poet and novelist Tishani Doshi. a�?Like the fact that there was a Madras style of painting in Europe.a�? Krishna unearthed old newspaper reports, old letters and government reports to make the text as unique as the photos. The book is divided into two halvesa��one featuring pictures from the British Raj era, and the other encapsulating the flavours of today. a�?It is easy to fall in love with nostalgia, but the challenge was to make the present as enticing,a�? says Tishani Doshi, who grew up in a a�?sleepy Madras, but came of age in the new Chennaia�?. Sharing her favourite photographa��the one on the cover from legendary dancer Chandralekhaa��s production, Doshi says, a�?She (Chandralekha) could have settled anywhere in the country, but she chose Chennai. This proves something I believea��this city is a place where amazing people quietly do amazing things.a�?